We are specialist insurance advisers providing wealth protection strategies and advice to business, medical and legal professionals. The burden on families and business caused by death, disability or illness can be significant. Protecting yourself and your loved ones against these events is crucial. We have access to an extensive product range and have software that compares policies for a wide range of life insurance companies. We have long term relationships with these companies which we believe is a benefit to our clients helping to ensure that the right outcome is achieved. Brad has been in the financial services industry since 1997. He holds a Bachelor of Social Science, an Advanced Diploma of Financial Services (Financial Planning) and is a member of the Association of Financial Advisers. 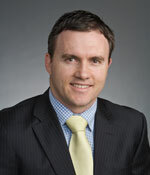 Brad provides advice to clients on Personal Insurance, Superannuation and Business Insurance. Brad Figures is an Authorised Representative 280968 of Alliance Wealth Pty Ltd ABN 93 161 647 007 AFSL 449221. If you have any questions or would like to meet for an obligation free discussion, contact Brad on 02 8224 8000 or click here. Our office is located at Level 21, 68 Pitt St, Sydney. The information provided on this website is general information only. It has been prepared without taking into account your individual objectives, financial situation or needs. Before acting on any information you should consider the appropriateness of the information, having regard to your objectives, financial situation and needs. We can assist you in determining the appropriateness of any product or information mentioned on this website.